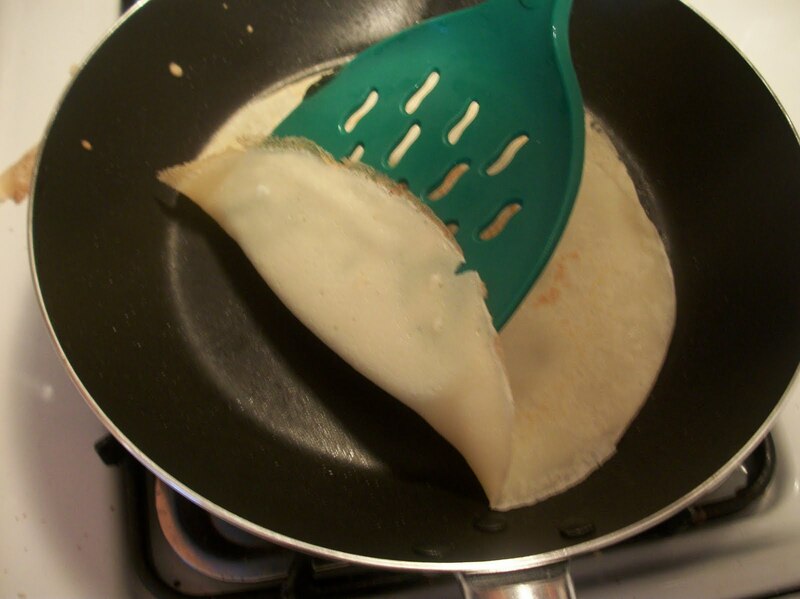 I've been thinking about making crepes for a long time. And I've had this specific recipe in my collection for over 2 years, mostly because I'm automatically drawn to anything with banana and caramel! And now, thanks to Bellicious and Suzy, who both have challenges to encourage us to make things that have been on our "list," I finally made these. And now, I only wonder why I haven't made them earlier. Crepes are not difficult, they just take a little gentleness. And this filling is SO scrumptious. Now that I have the basic crepe down, I can think of many ways to fill/top them, like with strawberries and hot fudge sauce or chocolate and raspberries. And then there are all the savory options! I see a lot of crepes in my future! 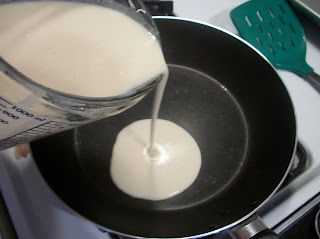 then swirl it around so the batter covers the bottom of the pan. and then gently turn over onto the "raw" side. then slide out onto a large dinner plate. 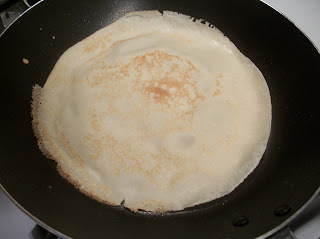 Repeat with the remaining batter, and just layer the finished crepes on a large dinner plate. I never needed to re-grease my skillet, but if you do, just spray it again. Whisk well to get out any lumps and let this mixture boil for a second, then add the half and half. Cook and stir for a minute until slightly thickened, then add the banana slices. Let them swim the sauce til they are heated through, about two minutes, then place a spoonful on the center of each crepe. Find more great ideas at Sweet Treats Thursday, What's on Your Plate?, Let's Do Brunch, Recipes I can't wait to try, What's on the Menu Wednesday, Real Food Wednesday, Whatcha Makin' Wednesday, What's Cooking Wednesday, What We're Eating Wednesday, It's a Keeper, Full Plate Thursday, Recipe Swap Thursday, Made it on Monday, Cooking Thursday, Sweet Tooth Friday, Sweets for a Saturday, Friday Food: French. 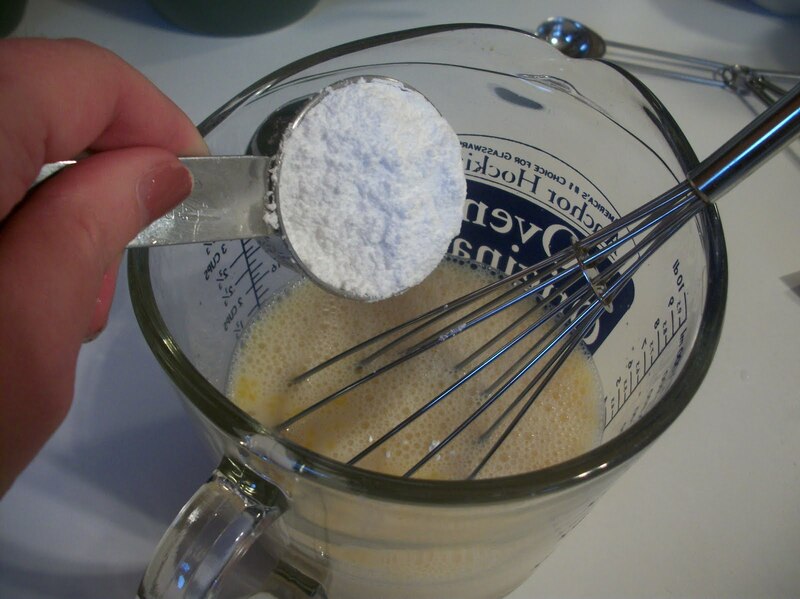 Combine flour and powdered sugar in a mixing bowl. Either sift it, or whisk well to get out any lumps. Add eggs, milk, butter, vanilla, and salt; beat until smooth. Heat a lightly greased 6 inch skillet. 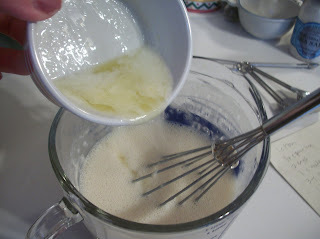 Add 3-4 tablespoons batter. 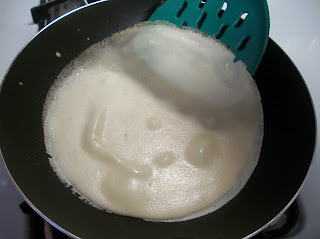 Tilt skillet so that batter spreads to almost cover the bottom of skillet. 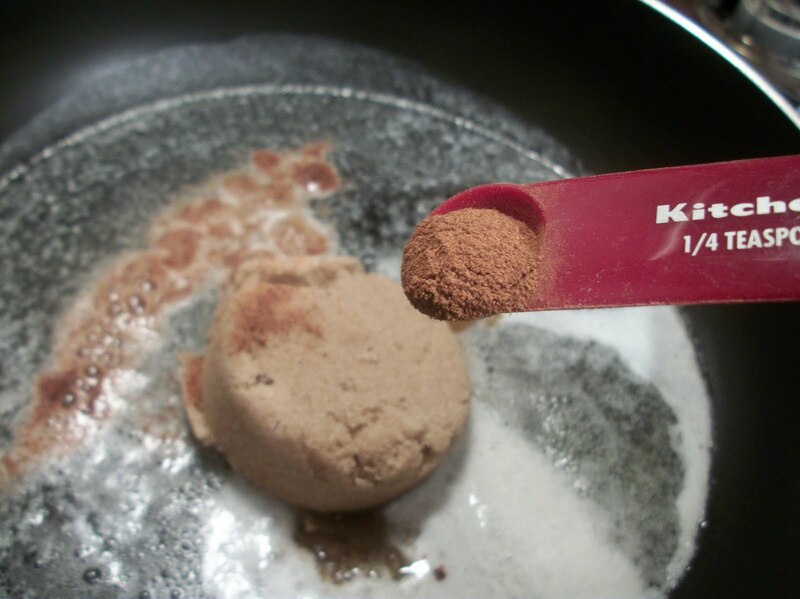 Cook until lightly browned (about 1 minute); turn and brown the other side. Repeat process with remaining batter, greasing skillet as needed. 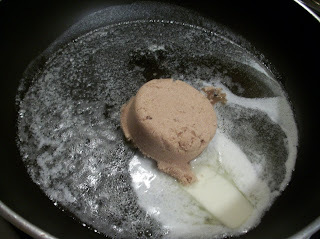 For the filling and sauce, melt 1/4 cup butter in a large skillet. Stir in brown sugar, cinnamon and nutmeg. 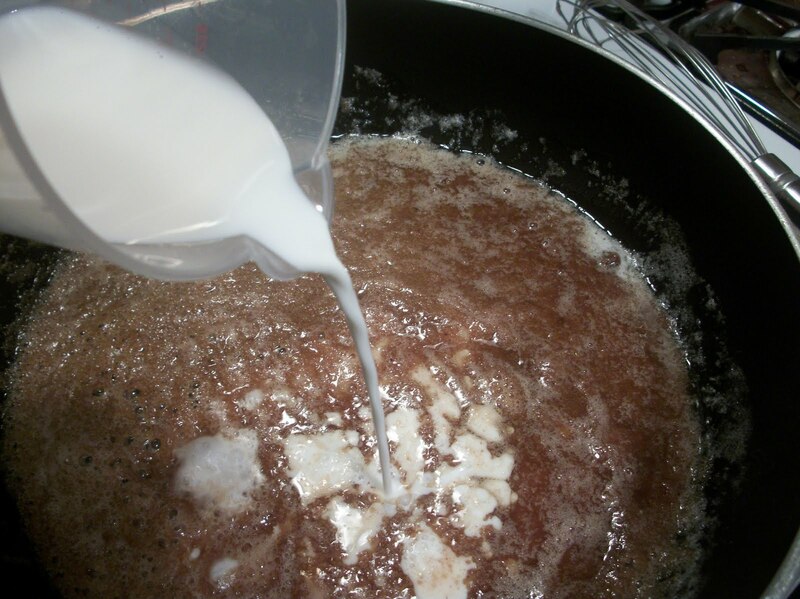 Stir in half and half and cook until slightly thickened. 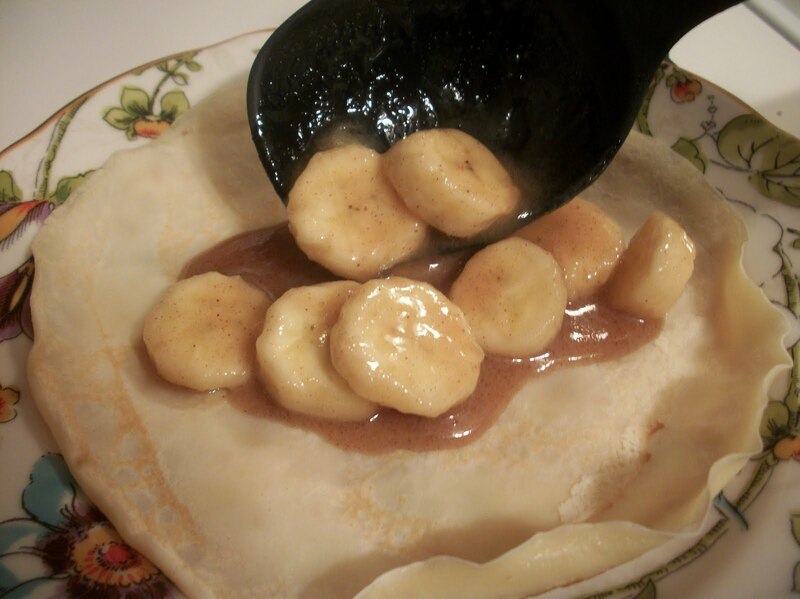 Add bananas; cook for 2 to 3 minutes, spooning sauce over them. Remove from heat. 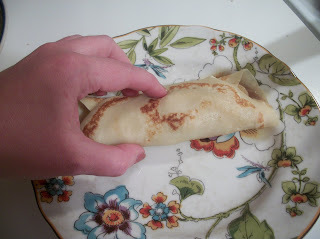 Spoon banana mixture into middle of crepes, roll up and turn over. 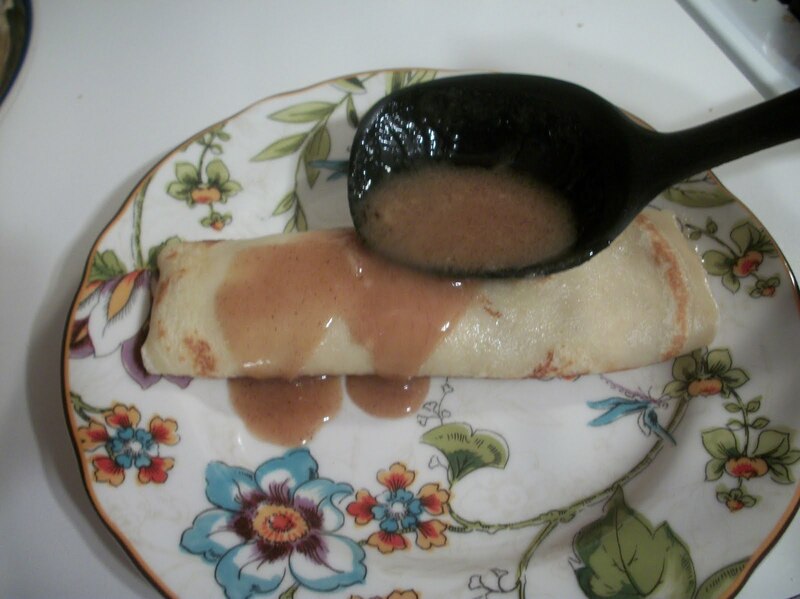 Spoon sauce over crepes. Top with whipped cream and a pinch of cinnamon. Makes 12 crepes. I'm hosting my very first blog hop if you're interested in linking up. 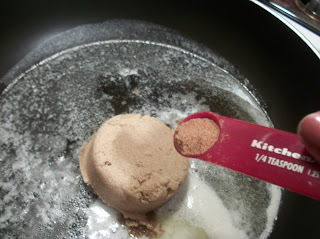 It will hopefully be every Wednesday, over at Peas & Carrots, at www.navefamilyfood.blogspot.com. Hope you'll join me! Oh you are so tempting me with those crepes. Your Crepes look awesome. 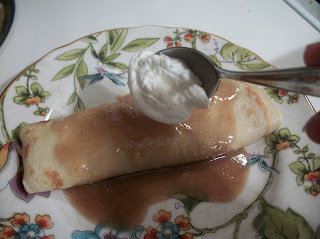 This is a great recipe and that Caramel Sauce is out of this world delicious! Thank you so much for sharing with Full Plate Thursday and hope to see you next week. Have a wonderful week end! Oh my heavens..these look so flipping good! I am so glad you linked up to Made it on Monday! Oh my word! I think I see crepes in my future, too. :) Gorgeous photos, and I love that sauce. New follower from It's a Keeper Thursday! Elena Blthe this is such a delicious post! I love the photographs and your recipe is just wonderful! 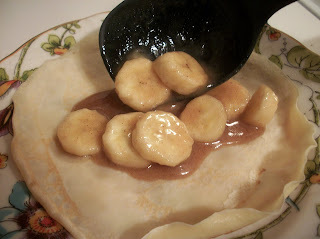 Caramel and banana are such a great combination - I can't wait to try these. Thank you for sharing them with Let's Do Brunch - hope to see you there again this Wednesday! what a fabulous dessert. The step by step picturiol looks easy to follow. Can't wait to try these. I am your neweset follower. I would love it if you would check out my recipe blog and follow me back. These look so good! I need to make them soon! Yayyy for you! So glad you gave it a try. 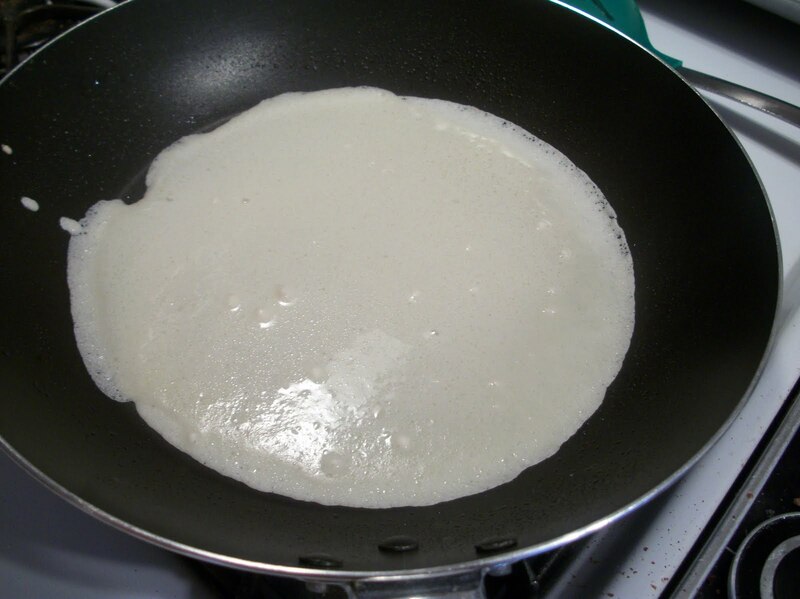 Crepes really are fun and easy to make. Yours look amazing. Thanks for joining in with this months Cooking Magazine challenge. 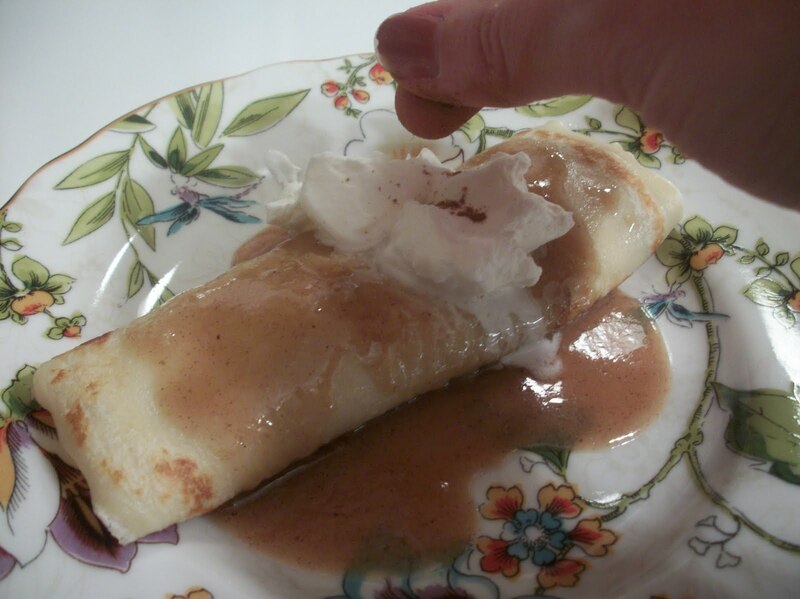 Just switched to this crepe recipe and it turned out really well. now i feel really hungry !!! my friend was eating this kind of crepe and the smell was WOW !! !